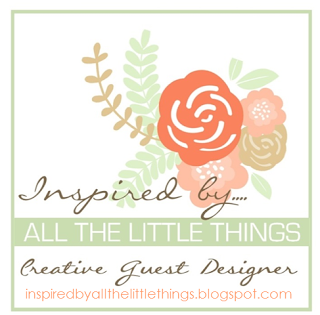 I was absolutely thrilled to bits when the lovely and talented Karren of Stamping Stuff invited me to be her guest for this week's Inspired by All the Little Things challenge! If you've never visited Karren's blog you are missing out. Her creations are gorgeous and I'm in awe of her colouring skills. Here is this week's inspiration photo. I was inspired by the pink behind the placard and the white sentiment framed by the flowers. I wish I could say that I inked up the coloured panel on my card but alas, I am not that talented. Instead it's a gorgeous piece of Cosmo Cricket paper. The sentiment is stacked multiple times for dimension. For the flowers I embossed them on vellum, keeping them simple so they wouldn't compete with the coloured panel. Congrats on guesting Jen!! Your card is so fresh and lovely. I like the vellum blooms!! This card is just gorgeous and perfect for the inspiration photo! Thanks so much for being my guest designer! A beautiful take on the inspiration photo! Thanks for sharing with us as a guest designer this week! 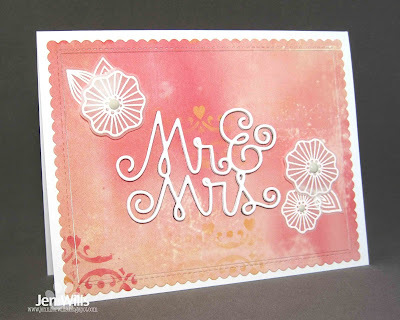 So wonderful to see you guest designing for Inspired By All the Little Things, Jen! Your card is so pretty! What an excellent use of patterned paper, which is my nemesis! Your card is gorgeous, and thank you so much for the shout-out! You are so very talented! 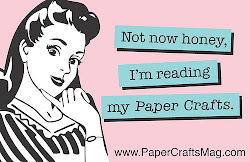 Gorgeous, and I love that you used a bit of patterned paper - it inspires me to use a little more of my own stash! Congrats on the Guest Designer spot, Jen... well deserved! It was fun to read your interview, Jen, and congrats on guesting on IBATLT. 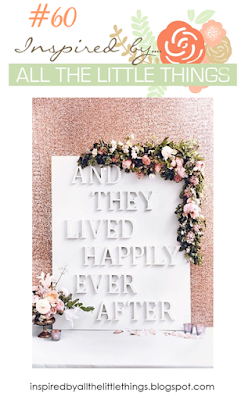 You made the most of the DP with those lovely vellum flowers and stacked sentiment.